MUMBAI: Investors will be able to redeem only up to Rs 2 lakh from a mutual fund scheme if the fund house faces systemic crisis, and the market regulator on Tuesday said that fund houses can impose restrictions on redemptions only if there is a systemic crisis or an event that severely constricts market liquidity. The Securities and Exchange Board of India’s ( Sebi ) move comes after the redemption crisis faced by JP Morgan in two of its schemes involving Amtek Auto in September 2015. The regulator’s latest note, that is effective immediately, stipulates that an AMC can impose restriction only in case of broad liquidity issues that affect “almost all securities reather than any issuer specific security,” in the event of market failures or exchange closures or under exceptional operational problems. Asset management companies can impose restrictions only for a maximum 10 working days with prior approval from its board and trustees. If the redemption requests are above Rs 2 lakh then fund houses would have to redeem the first Rs 2 lakh without any restrictions and only the remaining part would be subject to the restriction. The new rules would be with immediate effect for all new schemes launched from now onwards while it would be applicable for existing ones from July 1. Asset Managers need to consistently show fund performance to be in business, says Nimesh Shah, Managing Director and Chief Executive Officer, ICICI Prudential Asset Management Company. In an interview to Business Line, Shah provides insights on how better fund performance, well-defined products and a customer-centric approach draw investors to a fund house. You have been consistent in terms of profitability. How? If you consistently do normal things in India you will do well. Don’t try to be a super hero. The mutual fund industry is quite sanitised now. Only those whose funds perform will remain in business. It is all about giving regular returns over five years, 10 years and 15 years consistently. The products should be well-defined and marketed consistently. At the end of the day, you sell track record. Our funds have a nine-year track record. We also have the best of compliance and corporate governance standards. Ninety per cent of the mutual fund distribution network is mapped to us. When investors see that the company is customer-focused they feel confident of investing in our schemes for 3-5 year horizons. Ninety seven per cent of our funds are outperforming the benchmark on a three-year horizon. What is your wish list for the mutual fund industry? There is no wish list. The ball is in our court. We are working for the end customer. When markets turn, retail investors will be back. The mutual fund industry grows only when pension money comes in and foreign pension money is already coming into India. For capital formation, the Government has to incentivise equity investing. Growth does not come by push, ultimately, it is pull. 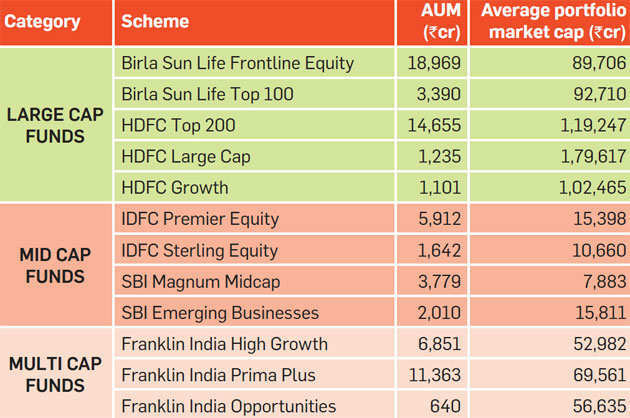 Your take on the SEBI directive to set aside two basis points of assets under management (AUM) for investor education? It is well-thought through and a bold step. A lot of education is required. Advertisements have started. We we will be working in-depth in small towns over the next three months. We will invest serious money to promote mutual fund more. We have to use these budgets efficiently. How are your other business verticals (PMS, Real estate and International Advisory) doing? They are doing well. We have absolute return on PMS products for HNIs who understand the risk return payoffs of such products. On our real estate PMS business, we never found it difficult to raise funds. We have raised Rs 300 crore as a first tranche of our Rs 1,000 crore fund from individuals and institutions. The next fund would be Rs 1,500-2,000 crore. The international advisory is an integral part of our mutual fund business. We have clients from Japan Taiwan, Korea, West Asia and Europe. People are coming to us as our fund performance is good. Nordea has launched the ICICI Prudential Dynamic Fund in Europe. With real estate being considered a risky bet, how do you manage? Land and building in India are appreciating assets. We are very conservative. We do not invest in real estate, we do mezzanine funding. We have restricted our Rs 1,000-crore fund to 10-12 developers in six cities. We have strong relationships in the real estate business and also have a separate investment team for real estate. It is all about selecting the partner, project and security. We have developed this well and it is a great business to be in. Many fund houses had closed down their branches in beyond top 15 cities in the last few years. What did you do? We did not close down our branches as it sends a wrong signal. We are opening 10-15 branches this fiscal and also increasing our coverage in existing geographies. We have the capability to service walk-in customers. However, we have no intention of reaching out to them. We will work through distributors. Is being a mutual fund distributor remunerative today? For cities beyond the top 15, it is a good to be in if one has a retail client base. However, for a distributor in the top 15 cities, volumes are important.